If there's a glass-half-full version of Mayo's 2018 season, it's that they'll have fresher legs and energised bodies next time around. There'll be new faces in the mix too but they won't include Jim McGuinness. Doherty saw talk of Mayo's link to the Donegal man on social media but insists it was the first he heard of it. 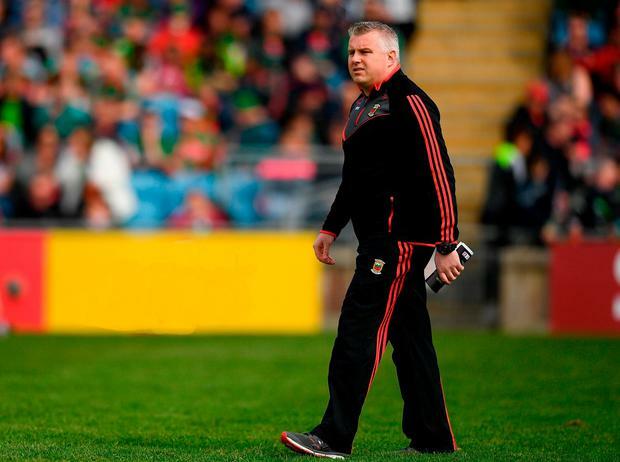 And in any case it has since been confirmed that Stephen Rochford will take charge for a fourth season. There will be change however. Rochford's backroom team will undergo significant revamp with Donie Buckley, Peter Burke and Tony McEntee all moving on. While the new management are sure to cast an eye over some of the U-20 contingent that reached this year's All-Ireland final too. "Stephen has done some great work with us over the last number of years," Doherty said. "We have definitely developed our game and new selectors coming on board will bring in new ideas. "And as a player you look forward to that, the anticipation of who will be in. And, as a player, it makes you look at yourself. One thing that Stephen has brought in is that nobody is safe whether you are there 15 years or six months. He constantly challenges you to question your own game. You can't rest on stuff you have do in the past." The past weighs heavily on Mayo football but they know it's best to keep their eyes forward. Since the defeat to Kildare in Newbridge, Doherty has taken advantage of their unfamiliarly short summer. Since then he's turned off almost totally from football. He only returned to club training with Burrishoole recently and filled his time with things that are usually sidelined. Defeat in the qualifiers wasn't in the plan but he's determined to make the most of the unexpected gap in his schedule. "I've already had five or six weeks now where I stepped away from the club and just did my own thing in the gym and running and playing a bit of TAG rugby for the first time or doing a bit of yoga. "One thing I have noticed is that you are saying yes to things in WhatsApp groups that you haven't said yes to in about eight or nine years, whether it is meeting up with friends or going to the hurling semi-final, catching up with friends from college, weddings and stuff like this. "You're so used to saying you have training or a match. That's been enjoyable, getting back into those circles. It is definitely a great opportunity for us re-energise, (get) new faces all over the panel and if anything we can start 2019 with possibly less lads catching up with injuries and operations. "We'll get everything done a bit earlier and we can hit the ground running because we will need a big league next year and get a bit of consistency going because we were a bit up and down." And he believes that down time can help re-energise a team that has gone to the well on so many occasions. "Obviously, there's huge cons in terms of being out of the championship and you look for the positives then when you are out, and life goes on. "Definitely I think it's a huge opportunity for lads to reassess, reenergise and even to take a break from it for a while and get back with the club. "We have been lucky to go on so late in the year that you are almost scrambling in the winter. By the time you play with your club, some players will go fairly far into the national competitions, that you are always scrambling for the holidays and time off in the winter. In the back of your head you are thinking that there is a big fitness test coming on and you need to get a few runs in before that and you have two or three weeks off of doing nothing." All that's left is to see who is still standing when they regather for the new season. 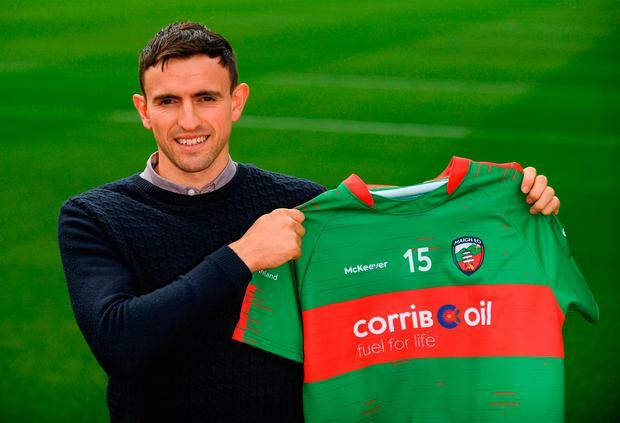 Senior players like Andy Moran, David Clarke and Keith Higgins have yet to make their intentions known but, as far as Doherty is concerned, no new is good news on that front. In the meantime, he reckons they'll watch the Dubs climb the steps of the Hogan Stand once more. "I think (Tyrone) are definitely going to raise it because it is such a huge occasion with such an emphasis on it and they didn't perform as they would have liked in the semi-final last year and I don't see them getting overpowered like that again. "They will come up with a system. They have very good players playing very well and they can probably raise it a notch for the final so I do see them causing Dublin problems. "It's just hard to see at 70 minutes anything but the Dublin win."